Haven’t posted any drawings, sketches as of late so here’s a update of what’s happening. 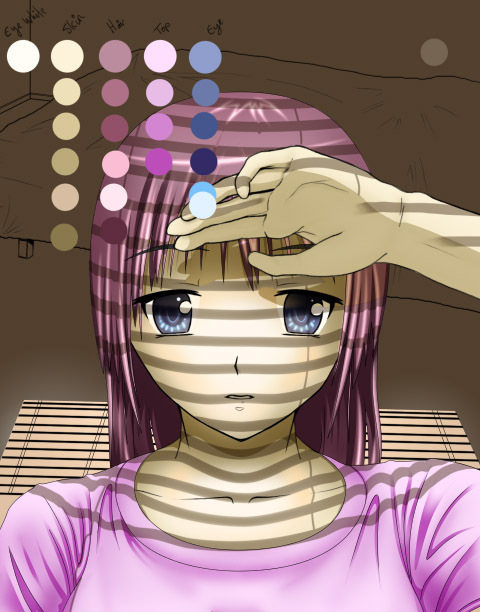 For the past week, I have been thinking about illustrating something with Hatsuka (my O.C) and it hit me when I looked out the window with the sun ray shining through the blinds… Shielding my eyes while looking up of course. At least I’m doing some drawing right? So, last week, almost every day, I went to illustrate my character. I haven’t perfected my O.C for a long run and previous image of her had yellowy orange hair which is wrong colour pallete. First day I did the line art from rough sketches and did some corrections during CG. I learnt to use other means of CG too, like the colour pallet painted out as ref. The eyes still need adjustments and I need to correct some shadings too. Not to make to too realistic of course, eitherwise it won’t be like those manga illustrated … style? So heres how or what I did. – Make pallet and Fill illustration with Flat base colour. – In each section, do shadings, highlights. – Started with Skin tones for arm, face. – Added Blind shadow, skin sun reflections. – Developed a simple background to test view point. – Correction to some un-proportional sections. 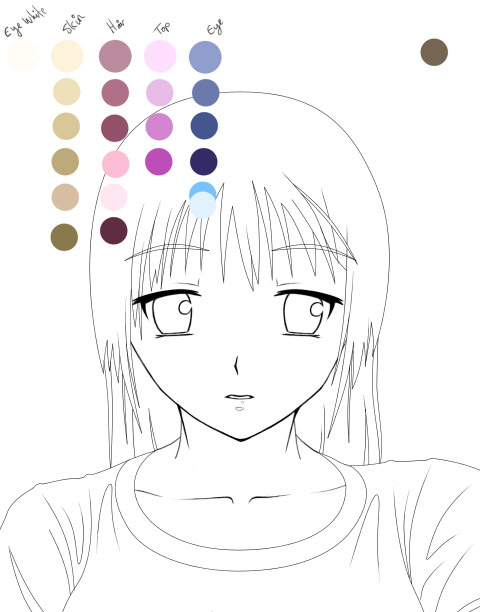 – Toned in the hair, highlights etc, then started on the Shirt. – Eye CG, Shaded, highlights etc. (Today). I took time and it is probably telling to use this method alot more. Going into the CG, rest and come back another time to see it fresh. It also helps me improve on long time CG, illustrations. Most people would find it tedious and then give up on the work and start something new. Happened to me a lot and I ain’t going to abandon this one till I am satisfied with the final result!